Pearls of Australia is pleased to announce the launch of the first ever pearling tourism in New South Wales. 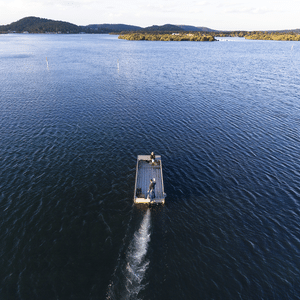 Broken Bay Pearl Farm, an hour north of Sydney in Woy Woy, opens its doors from this December. Broken Bay Pearl Farm and Cygnet Bay Pearl Farm located in the Kimberley Coast of Western Australia both offer the rare opportunity for the public to experience an authentic, working pearl farm. Together they form Pearls of Australia. “To discover how a pearl of Australia is preciously cultivated in pristine marine environments is to experience something very rare and special, and allows you to understand the value and beauty of these high-quality gems,” said James. Akin to the ethics of Pearls of Australia which began with Cygnet Bay Pearls, Broken Bay’s farming processes are environmentally sustainable. Online bookings will go live on Monday 3 December until which time bookings can be made by phone (0488 361 042) or email (info@pearlsofaustralia.com.au).